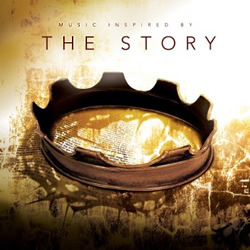 Album Spotlight: "Music Inspired by The Story"
What started with a series of books — The Story Bible (Zondervan), God’s Story, Your Story by Max Lucado and The Heart of the Story by Randy Frazee — has blossomed into an entire campaign. With the goal of bringing the Bible and its messages to life through the power of narrative, there is now the companion CD Music Inspired by The Story, with performances from Amy Grant, Steven Curtis Chapman, Natalie Grant, Bart Millard of MercyMe, Francesca Battistelli, Mac Powell of Third Day, Natalie Grant, Nichole Nordeman and more. Each song, written in the first-person, recounts the struggles and victories experienced by key people in the Bible.